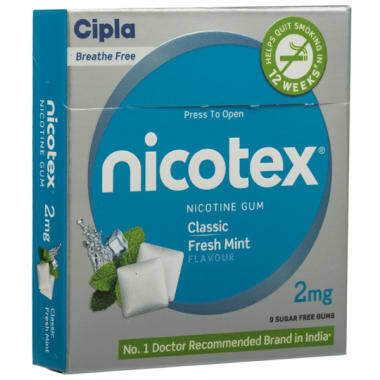 The nicotine in the nicotex chewing gums works on the principle of Nicotine Replcement Therapy(NRT) and helps to quit smoking. 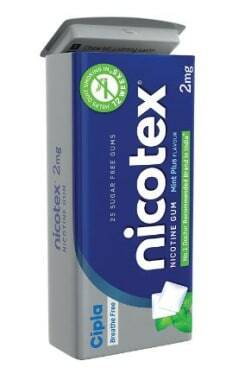 Each pack contains 9 chewing gums. 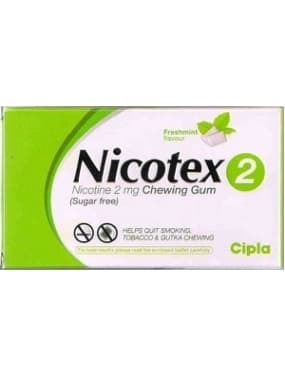 The nicotine contained in the chewing gums reduces the effect of nicotine obtained from tobacco. 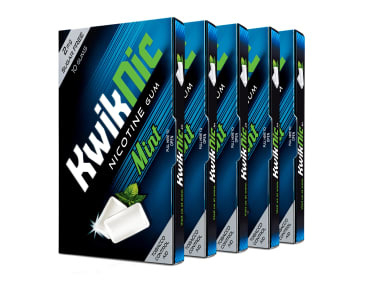 The research studies have proved that nicotine chewing gums help smokers to quit smoking by relieving the withdrawal symptoms. 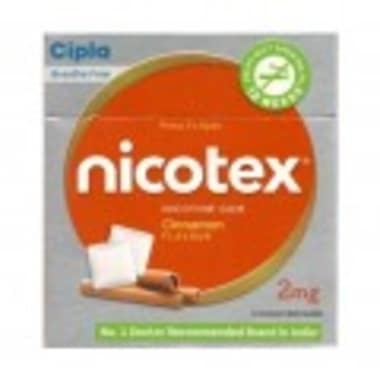 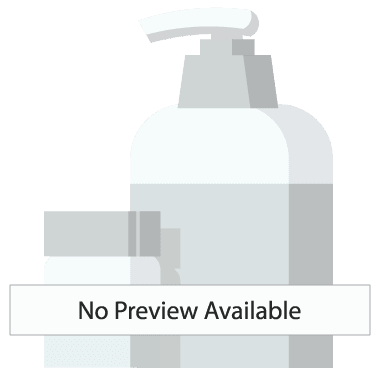 Comes in cinnamon flavour and is formulated with an artificial sweetener and hence is sugar -free. 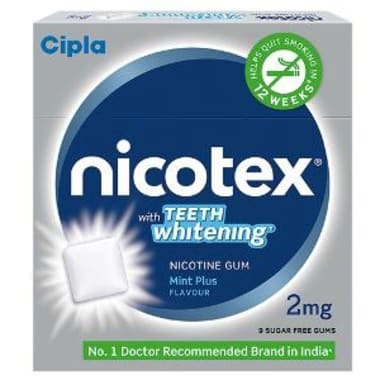 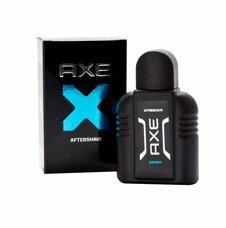 These chewing gums are supplied by the leading manufacture in the market who make sure to deliver you the best quality.